The following was given on July 5th at the 2016 "Sacra Liturgia" Conference held at The Oratory of St. Philip Neri in London (Brompton Oratory). The following may not be entirely complete, as parts of the address given by His Eminence Robert Cardinal Sarah, Prefect of the Congregation for Divine Worship and the Discipline of the Sacraments, have been posted on the “Sacra Liturgia” Facebook page. This page will be updated accordingly. In the first place I wish to express my thanks to His Eminence, Vincent Cardinal Nichols, for his welcome to the Archdiocese of Westminster and for his kind words of greeting. So too I wish to thank His Excellency, Bishop Dominique Rey, Bishop of Fréjus-Toulon, for his invitation to be present with you at this, the third international “Sacra Liturgia” conference, and to present the opening address this evening. Your Excellency, I congratulate you on this international initiative to promote the study of the importance of liturgical formation and celebration in the life and mission of the Church. In this address I wish to place before you some considerations on how the Western Church might move towards a more faithful implementation of Sacrosanctum Concilium. In doing so I propose to ask “What did the Fathers of the Second Vatican Council intend in the liturgical reform?” Then I would like to consider how their intentions were implemented following the Council. Finally, I would like to put before you some suggestions for the liturgical life of the Church today, so that our liturgical practice might more faithfully reflect the intentions of the Council Fathers. I wish to underline a very important fact here: God, not man is at the centre of Catholic liturgy. We come to worship Him. The liturgy is not about you and I; it is not where we celebrate our own identity or achievements or exalt or promote our own culture and local religious customs. The liturgy is first and foremost about God and what He has done for us. In His Divine Providence Almighty God founded the Church and instituted the Sacred Liturgy by means of which we are able to offer Him true worship in accordance with the New Covenant established by Christ. In doing this, in entering into the demands of the sacred rites developed in the tradition of the Church, we are given our true identity and meaning as sons and daughters of the Father. It is essential that we understand this specificity of Catholic worship, for in recent decades we have seen many liturgical celebrations where people, personalities and human achievements have been too prominent, almost to the exclusion of God. As Cardinal Ratzinger once wrote: “If the liturgy appears first of all as the workshop for our activity, then what is essential is being forgotten: God. For the liturgy is not about us, but about God. Forgetting about God is the most imminent danger of our age.” (Joseph Ratzinger, Theology of the Liturgy, Collected Works vol. 11, Ignatius Press, San Francisco 2014, p. 593). We must be utterly clear about the nature of Catholic worship if we are to read the Second Vatican Council’s Constitution on the Sacred Liturgy correctly and if we are to implement it faithfully. For many years before the Council, in missionary countries and also in the more developed ones, there had been much discussion about the possibility of increasing the use of the vernacular languages in the liturgy, principally for the readings from Sacred Scripture, also for some of the other parts of the first part of the Mass (which we now call the “Liturgy of the Word”) and for liturgical singing. The Holy See had already given many permissions for the use of the vernacular in the administration of the sacraments. This is the context in which the Fathers of the Council spoke of the possible positive ecumenical or missionary effects of liturgical reform. It is true that the vernacular has a positive place in the liturgy. The Fathers were seeking this, not authorising the protestantization of the Sacred Liturgy or agreeing to it being subjected to a false inculturation. I am an African. Let me say clearly: the liturgy is not the place to promote my culture. Rather, it is the place where my culture is baptised, where my culture is taken up into the divine. Through the Church’s liturgy (which missionaries have carried throughout the world) God speaks to us, He changes us and enables us to partake in His divine life. When someone becomes a Christian, when someone enters into full communion with the Catholic Church, they receive something more, something which changes them. Certainly, cultures and other Christians bring gifts with them into the Church—the liturgy of the Ordinariates of Anglicans now in full communion with the Church is a beautiful example of this. But they bring these gifts with humility, and the Church in her maternal wisdom makes use of them as she judges appropriate. My brothers and sisters, this is what the Council Fathers intended. Yes, certainly, they discussed and voted on specific ways of achieving their intentions. But let us be very clear: the ritual reforms proposed in the Constitution such as the restoration of the prayer of the faithful at Mass (n. 53), the extension of concelebration (n. 57) or some of its policies such as the simplification desired by articles 34 and 50, are all subordinate to the fundamental intentions of the Council Fathers I have just outlined. They are means to an end, and it is the end which we must achieve. If we are to move towards a more authentic implementation of Sacrosanctum Concilium, it is these goals, these ends, which we must keep before us first and foremost. It may be that, if we study them with fresh eyes and with the benefit of the experience of the past five decades, we shall see some specific ritual reforms and certain liurgical policies in a different light. If, today, so as to “impart an ever increasing vigour to the Christian life of the faithful” and “help to call the whole of mankind into the household of the Church,” some of these need to be reconsidered, let us ask the Lord to give us the love and the humility and wisdom so to do. I raise this possibility of looking again at the Constitution and at the reform which followed its promulgation because I do not think that we can honestly read even the first article of Sacrosanctum Concilium today and be content that we have achieved its aims. My brothers and sisters, where are the faithful of whom the Council Fathers spoke? Many of the faithful are now unfaithful: they do not come to the liturgy at all. To use the words of St John Paul II: many Christians are living in a state of “silent apostasy;” they “live as if God does not exist” (Apostolic Exhortation, Ecclesia in Europa, 28 June 2003, 9). Where is the unity the Council hoped to achieve? We have not yet reached it. Have we made real progress in calling the whole of mankind into the household of the Church? I do not think so. And yet we have done very much to the liturgy! In my 47 years of life as a priest and after more than 36 years of episcopal ministry I can attest that many Catholic communities and individuals live and pray the liturgy as reformed following the Council with fervour and joy, deriving from it many, if not all, of the goods that the Council Fathers desired. This is a great fruit of the Council. 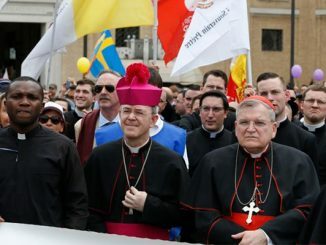 But from my experience I also know—now also through my service as Prefect of the Congregation of the Congregation for Divine Worship and the Discipline of the Sacraments—that there are many distortions of the liturgy throughout the Church today, and there are many situations that could be improved so that the aims of the Council can be achieved. Before I reflect on some possible improvements, let us consider what happened following the promulgation of the Constitution on the Sacred Liturgy. “The Magisterium’s commitment to proclaiming the Eucharistic mystery has been matched by interior growth within the Christian community. Certainly the liturgical reform inaugurated by the Council has greatly contributed to a more conscious, active and fruitful participation in the Holy Sacrifice of the Altar on the part of the faithful. In many places, adoration of the Blessed Sacrament is also an important daily practice and becomes an inexhaustible source of holiness. The devout participation of the faithful in the Eucharistic procession on the Solemnity of the Body and Blood of Christ is a grace from the Lord which yearly brings joy to those who take part in it. “Other positive signs of Eucharistic faith and love might also be mentioned. “Unfortunately, alongside these lights, there are also shadows. In some places the practice of Eucharistic adoration has been almost completely abandoned. In various parts of the Church abuses have occurred, leading to confusion with regard to sound faith and Catholic doctrine concerning this wonderful sacrament. At times one encounters an extremely reductive understanding of the Eucharistic mystery. Stripped of its sacrificial meaning, it is celebrated as if it were simply a fraternal banquet. Furthermore, the necessity of the ministerial priesthood, grounded in apostolic succession, is at times obscured and the sacramental nature of the Eucharist is reduced to its mere effectiveness as a form of proclamation. This has led here and there to ecumenical initiatives which, albeit well-intentioned, indulge in Eucharistic practices contrary to the discipline by which the Church expresses her faith. How can we not express profound grief at all this? The Eucharist is too great a gift to tolerate ambiguity and depreciation. There was also a pastoral reality here: whether for good reasons or not, some people could or would not participate in the reformed rites. They stayed away, or only participated in the unreformed liturgy where they could find it, even when its celebration was not authorised. In this way the liturgy became an expression of divisions within the Church, rather than one of Catholic unity. The Council did not intend that the liturgy divide us one from another! St John Paul II worked to heal this division, aided by Cardinal Ratzinger who, as Pope Benedict XVI, sought to facilitate the necessary internal reconciliation in the Church by establishing in his Motu Proprio Summorum Pontificum (7 July 2007) that the more ancient form of the Roman rite is to be available without restriction to those individuals and groups who wish to draw from its riches. In God’s Providence it is now possible to celebrate our Catholic unity whilst respecting, and even rejoicing in, a legitimate diversity of ritual practice. We may have built a very new, modern liturgy in the vernacular, but if we have not laid the correct foundations—if our seminarians and clergy are not “thoroughly imbued with the spirit and power of the liturgy” as the Council required—then they themselves cannot form the people entrusted to their care. We need to take the words of the Council itself very seriously: it would be “futile” to hope for a liturgical renewal without a thorough liturgical formation. Without this essential formation clergy could even damage peoples’ faith in the Eucharistic mystery. I do not wish to be thought of as being unduly pessimistic, and I say again: there are many, many faithful lay men and women, many clergy and religious for whom the liturgy as reformed after the Council is a source of much spiritual and apostolic fruit, and for that I thank Almighty God. But, even from my brief analysis just now, I think you will agree that we can do better so that the Sacred Liturgy truly becomes the source and summit of the life and mission of the Church now, at the beginning of the twenty-first century, as the Fathers of the Council so earnestly desired. In the light of the fundamental desires of the Council Fathers and of the different situations that we have seen arise following the Council, I would like to present some practical considerations on how we can implement Sacrosanctum Concilium more faithfully today. Even though I serve as the Prefect of the Congregation for Divine Worship, I do so in all humility as a priest and a bishop in the hope that they will promote mature reflection and scholarship and good liturgical practice throughout the Church. It will come as no surprise if I say that first of all we must examine the quality and depth of our liturgical formation, of how we imbue our clergy, religious and lay faithful with the spirit and power of the liturgy. Too often we assume that our candidates for ordination to the priesthood or the permanent diaconate “know” enough about the liturgy. But the Council was not insisting on knowledge here, though, of course, the Constitution stressed the importance of liturgical studies (see: nn. 15-17). No, the liturgical formation that is primary and essential is more one of immersion in the liturgy, in the deep mystery of God our loving Father. It is a question of living the liturgy in all its richness, so that having drunk deeply from its fount we always have a thirst for its delights, its order and beauty, its silence and contemplation, its exultation and adoration, its ability to connect us intimately with He who is at work in and through the Church’s sacred rites. That is why those “in formation” for pastoral ministry should live the liturgy as fully as is possible in their seminaries or houses of formation. Candidates for the permanent diaconate should have an immersion in an intense liturgical life over a prolonged period also. And, I would add, that the full and rich celebration of the more ancient use of the Roman rite, the usus antiquior, should be an important part of liturgical formation for clergy, for how can we begin to comprehend or celebrate the reformed rites with a hermeneutic of continuity if we have never experienced the beauty of the liturgical tradition which the Fathers of the Council themselves knew? If we understand the priority of internalising our liturgical participation we will avoid the noisy and dangerous liturgical activism that has been too prominent in recent decades. We do not go to the liturgy so as to perform, to do things for others to see: we go to be connected with Christ’s action through an internalisation of the external liturgical rites, prayers, signs and symbols. It may be that we whose vocation is to minister liturgically need to remember this more than others! But we also need to form others, particularly our children and young people, in the true meaning of liturgical participation, in the true way to pray the liturgy. Thirdly, I have spoken of the fact that some of the reforms introduced following the Council may have been put together according to the spirit of the times and that there has been an increasing amount of critical study by faithful sons and daughters of the Church asking whether what was in fact produced truly implemented the aims of the Constitution, or whether in reality they went beyond them. This discussion sometimes takes place under the title of a “reform of the reform,” and I am aware that Father Thomas Kocik presented a learned study on this question at the Sacra Liturgia conference in New York one year ago. 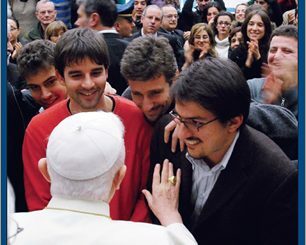 Indeed, I can say that when I was received in audience by the Holy Father last April, Pope Francis asked me to study the question of a reform of a reform and of how to enrich the two forms of the Roman rite. This will be a delicate work and I ask for your patience and prayers. But if we are to implement Sacrosanctum Concilium more faithfully, if we are to achieve what the Council desired, this is a serious question which must be carefully studied and acted on with the necessary clarity and prudence. We priests, we bishops bear a great responsibility. How our good example builds up good liturgical practice; how our carelessness or wrongdoing harms the Church and her Sacred Liturgy! We priests must be worshippers first and foremost. Our people can see the difference between a priest who celebrates with faith and one who celebrates in a hurry, frequently looking at his watch, almost so as to say that he wants to get back to the television as quickly as possible! Fathers, we can do no more important thing than celebrate the sacred mysteries: let us beware of the temptation of liturgical sloth, because it is a temptation of the devil. We must remember that we are not the authors of the liturgy, we are its humble ministers, subject to its discipline and laws. We are also responsible to form those who assist us in liturgical ministries in both the spirit and power of the liturgy and indeed its regulations. Sometimes I have seen priests step aside to allow extraordinary ministers distribute Holy Communion: this is wrong, it is a denial of the priestly ministry as well as a clericalisation of the laity. When this happens it is a sign that formation has gone very wrong, and that it needs to be corrected. I have also seen priests, and bishops, vested to celebrate Holy Mass, take out telephones and cameras and use them in the Sacred Liturgy. This is a terrible indictment of what they understand they are doing when they put on the liturgical vestments, which clothe us as an alter Christus—and much more, as ipse Christus, as Christ himself. To do this is a sacrilege. No bishop, priest or deacon vested for liturgical ministry or present in the sanctuary should be taking photographs, even at large-scale concelebrated Masses. That priests often do this at such Masses, or talk with each other and sit casually, is a sign, I think, that we need to rethink their appropriateness, especially if they lead priests into this sort of scandalous behaviour that is so unworthy of the mystery being celebrated, or if the sheer size of these concelebrations leads to a risk of the profanation of the Blessed Eucharist. I want to make an appeal to all priests. You may have read my article in L’Osservatore Romano one year ago (12 June 2015) or my interview with the journal Famille Chrétienne in May of this year. On both occasions I said that I believe that it is very important that we return as soon as possible to a common orientation, of priests and the faithful turned together in the same direction—Eastwards or at least towards the apse—to the Lord who comes, in those parts of the liturgical rites when we are addressing God. This practice is permitted by current liturgical legislation. It is perfectly legitimate in the modern rite. Indeed, I think it is a very important step in ensuring that in our celebrations the Lord is truly at the centre. And so, dear Fathers, I ask you to implement this practice wherever possible, with prudence and with the necessary catechesis, certainly, but also with a pastor’s confidence that this is something good for the Church, something good for our people. Your own pastoral judgement will determine how and when this is possible, but perhaps beginning this on the first Sunday of Advent this year, when we attend ‘the Lord who will come’ and ‘who will not delay’ (see: Introit, Mass of Wednesday of the first week of Advent) may be a very good time to do this. Dear Fathers, we should listen again to the lament of God proclaimed by the prophet Jeremiah: “they have turned their back to me” (2:27). Let us turn again towards the Lord! I would like to appeal also to my brother bishops: please lead your priests and people towards the Lord in this way, particularly at large celebrations in your dioceses and in your cathedral. Please form your seminarians in the reality that we are not called to the priesthood to be at the centre of liturgical worship ourselves, but to lead Christ’s faithful to him as fellow worshippers. Please facilitate this simple but profound reform in your dioceses, your cathedrals, your parishes and your seminaries. We bishops have a great responsibility, and one day we shall have to answer to the Lord for our stewardship. We are the owners of nothing! As St Paul teaches, we are merely “the servants of Christ and the stewards of the mysteries of God” (1 Cor. 4:1). We are responsible to ensure that the sacred realities of the liturgy are respected in our dioceses and that our priests and deacons not only observe the liturgical laws, but know the spirit and power of the liturgy from which they emerge. I was very encouraged to read the presentation on “The Bishop: Governor, Promoter and Guardian of the Liturgical Life of the Diocese” made to the 2013 Sacra Liturgia conference in Rome by Archbishop Alexander Sample of Portland in Oregon in the USA, and I fraternally encourage my brother bishops to study his considerations carefully. At this point I repeat what I have said elsewhere, that Pope Francis has asked me to continue the liturgical work Pope Benedict began (see: Message to Sacra Liturgia USA 2015, New York City). 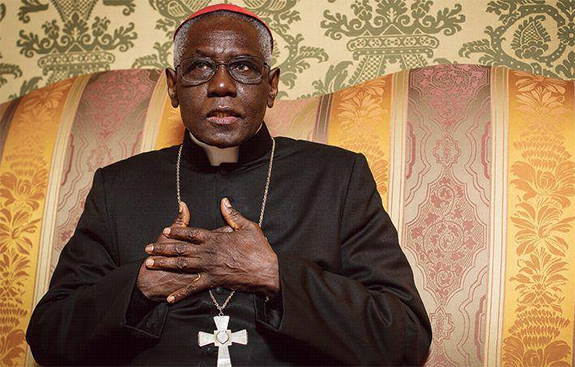 Just because we have a new pope does not mean that his predecessor’s vision is now invalid. On the contrary, as we know, our Holy Father Pope Francis has the greatest respect for the liturgical vision and measures Pope Benedict implemented in utter fidelity to the intentions and aims of the Council Fathers. Before I conclude, please permit me to mention some other small ways which can also contribute to a more faithful implementation of Sacrosanctum Concilium. One is that we must sing the liturgy, we must sing the liturgical texts, respecting the liturgical traditions of the Church and rejoicing in the treasury of sacred music that is ours, most especially that music proper to the Roman rite, Gregorian chant. We must sing sacred liturgical music not merely religious music, or worse, profane songs. We must get the right balance between the vernacular languages and the use of Latin in the liturgy. The Council never intended that the Roman rite be exclusively celebrated in the vernacular. But it did intend to allow its increased use, particularly for the readings. Today it should be possible, especially with modern means of printing, to facilitate comprehension by all when Latin is used, perhaps for the liturgy of the Eucharist, and of course this is particularly appropriate at international gatherings where the local vernacular is not understood by many. And naturally, when the vernacular is used, it must be a faithful translation of the original Latin, as Pope Francis recently affirmed to me. TERENCE MCMANUS: We live in evil times.